1. Score 2 /3 knife marks into the skin of the Snapper Fillets. 2. Grill the Snapper Fillets from defrost over a medium to high heat for 8-10 minutes, skin side up. Turn and grill skin side down for a further 3-5 minutes. 3. Meanwhile, prepare and cook your chosen vegetables. 4. 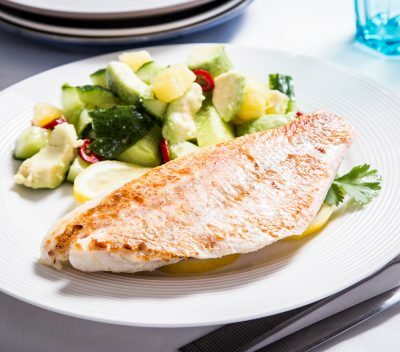 Once cooked, serve the Red Snapper, alongside the cooked vegetables.